See what kids told CVT. CVT Releases a New Toolkit. CVT's new toolkit helps providers working with refugees. Torture survivors share their stories. New Americans Day in GA.
CVT Atlanta helped organize the 6th Annual Celebration. Your donation helps survivors of torture receive rehabilitative care. 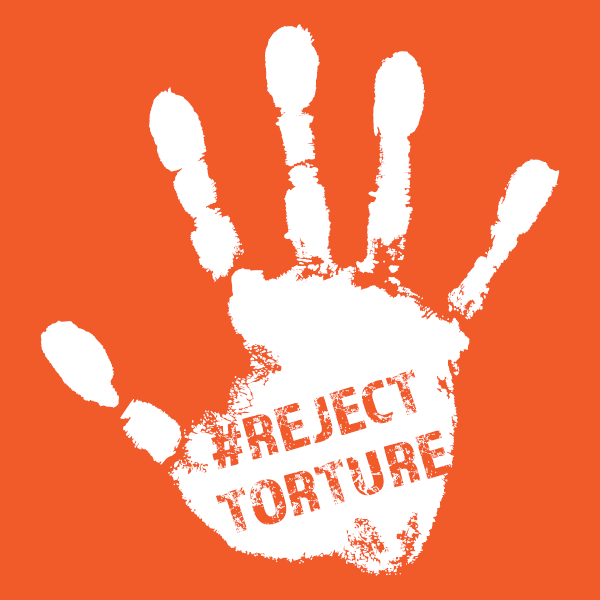 We heal victims of torture through professional care worldwide. We strengthen partners who heal torture survivors. We advocate for the protection & care of torture survivors. "A Torture Chamber in the Sky": Discussing the CIA's Extraordinary Renition Program: A Q&A with CVT staff and partners reveals why human rights abuses perpetrated by the CIA still matter. Updates from Kakuma, CVT's NEW Location in Kenya: Get one-year highlights from the staff at CVT Kakuma! I Could See the Healing as it Happened: Francis Lokong, monitoring & evaluation officer, CVT Uganda, writes about witnessing clients’ improvements in his research work. Trump’s Latest Attack on Refugees: Closure of Overseas Immigration Offices - the U.S. must keep these critical immigration offices open. Mary's Story: A Life Interrupted: Mary was tortured because she was unafraid to speak out. Now, she must confront the pain of her past and challenges as she rebuilds her life. Andrea Cárcamo-Cavazos, CVT senior policy counsel, responds in a statement to Attorney General William Barr’s decision permitting indefinite detention at the U.S. southern border. NEWS RELEASE: On April 22, a panel of experts in extraordinary rendition and torture will explore North Carolina’s part in the CIA post-9/11 torture program and the ongoing humanitarian effort to abolish torture worldwide. The event is hosted by the University of Minnesota Law School's Human Rights Center and the Center for Victims of Torture. Curt Goering, CVT executive director, decries the announced closure of critical overseas immigration offices in an article at Medium. Senator Edward J. Markey (D-Mass. ), Congresswoman Zoe Lofgren (CA-19) and Congressman Joe Neguse (CO-02) introduced the GRACE Act. News releases posted by the offices of Senator Edward J. Markey and Congressman Joe Neguse listed CVT among the supporters of the legislation.